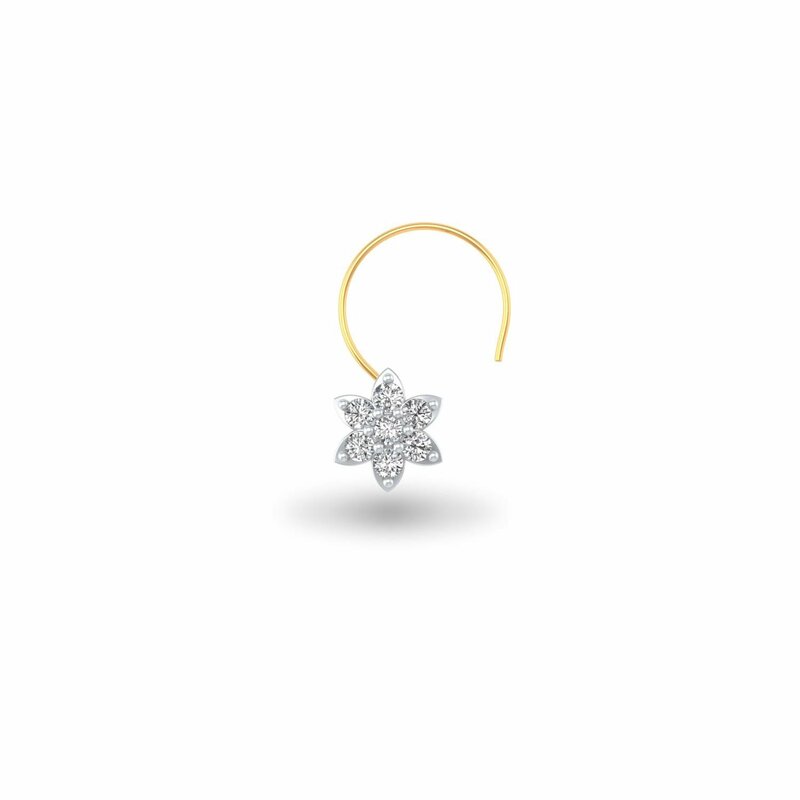 Add some twinkle to your bling style with this gorgeous nose pin. Carved into gold, this star-shaped nose pin is further adorned with rhodium polish and invariably, revives your love affair with stars that began in your early days. Spectacular from the word go!